GIS (Geographic Information System) is a computer based tool used to store and operate geographic information. It deals with mapping and analyzing things happening on earth. GIS is known for explaining events, predicting results an planning strategies and that is why it is found different from other information systems and valuable to public and private enterprises. "GIS is a powerful set of tools for collecting, storing, retrieving at will, transform and displaying spatial data from the real world." 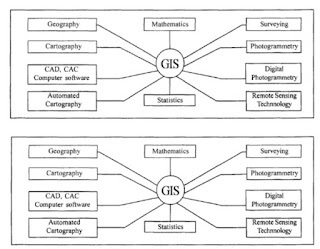 GIS has the potential to be used in various fields. The problems faced by world today are overpopulation, pollution, deforestation, natural disasters. These challenges have critical geographic perspective. GIS is used while selection of suitable site for business, finding best soil to grow crops, finding the best route for emergency vehicles. GIS is used to build maps, gather information, visualize scenarios, solve complex problems, present useful ideas and effective solutions for problems. 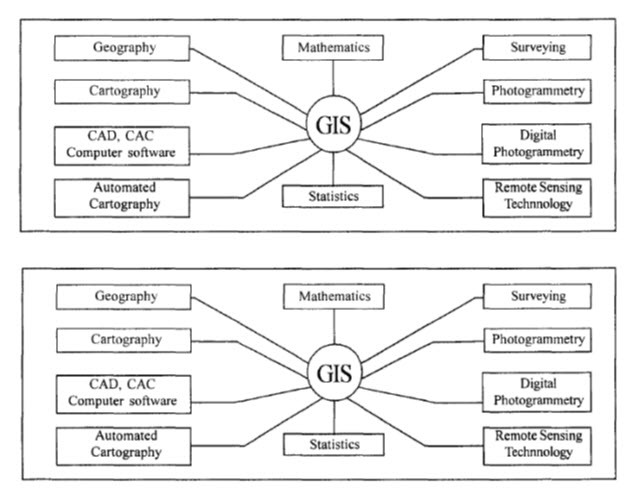 GIS performs tasks better than manual methods. Data input deals with collecting, capturing and transforming the spatial and thematic data into digital form. Data input comes from aerial photographs, hard copy maps, remotely sensed images, reports, surveys, documents etc. This subsystems organize the spatial and attribute data in a form the allows the users to retrieve this data quickly for analysis and allows correct updates to be done in database. This subsystem permits the user to define and implement spatial and attribute procedures to produce derived information. This subsystem is considered as heart of GIS. This subsystem allows graphic display, maps generation and tabular reports that show derived information products.